Despite the global economic challenges and unfavourable high cost of critical raw materials, Livestock feeds Plc has recorded an astionishing 80 per cent growth in performance. 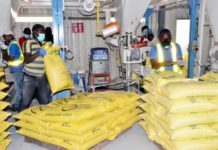 Making the revelation recently in the 2011 annual report and accounts to the company, the Chairman, Robert Tade stated that the manufacturing sector especially the Flour Millina constituency faced enormous challenges during the year. According to him, capacity utilisation declined to about 45 per cent and the sector was generally bagged down by the perennial business environmental problems which included acute state of infractural decay especially energy, smuggling and indiscriminate dumping of cheap substandard goods in the country. He said other challenges faced by the Sector included high cost of funds and inadequate long-term loan windows to support long gestation investments. 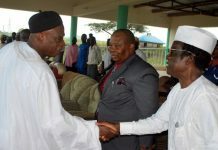 Mr. Tade decried the threat to the political and economic stability of the country as a result of the unfortunate and continuing religious and political upheavals especially in the northern geo-political zones of the country. According to him, commodity prices experienced an upward shoot worldwide fuelled by the shortages/natural disasters which further compounded the increasing demands from emerging and developing economies like Brazil, India and China which has been experiencing relative rabust economic growth. “The overall business environment was particularly tough for the Sub-sector in 2011 largely droven by the bitting high cost of vegetable protein materials, further aggravated by the harsh operating environment. “The associated rising costs invariably led to incessant product price increases fuelling very strong customer price objections”, he said. He further remarked that margins remained ththan especially for millers who lacked straregic leverage for inventory acquisition as it became extremely difficult to optimally recover cost owing to intense competitive pressures resulting to price wars.